I have purchased a new computer and woud like to transfer my Cashbook program and data from my old computer to my new one. How do I do this? Backup data from your old computer. 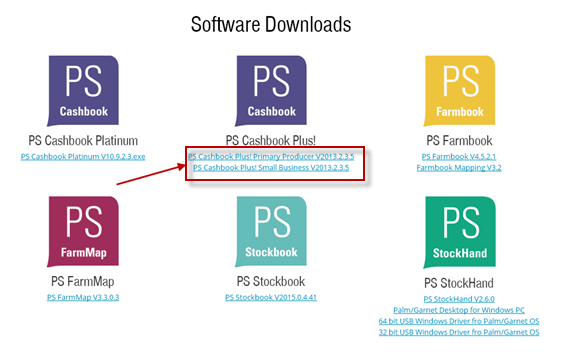 Install PS Cashbook on your new computer. 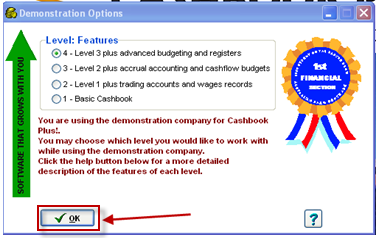 Register your new PS Cashbook installation. Restore your data from your backup. If you have access to the Practical Systems Data Warehouse, backup your data to it, taking note of the relevant steps below. If you do not have access to the Practical Systems Data Warehouse you will need to back up your data to a USB Stick. In the Backup to files box, click on the Browse button. Click on the Save button. This will take you back to the Backup Data Files screen. Tick all the years listed underneath your company name, including Most Recent Year. Click on the OK button. After processing, your files will be saved onto your USB. Click on theFile > Multi-Company Backup menu option. Tick all the boxes next to each individual company. To ensure you are installing the most up to date version of PS Cashbook it is best to install the program from our website. Select Client Support > Client Downloads. You may than have to enter you Client ID and Password. When asked, select Standard Installation. 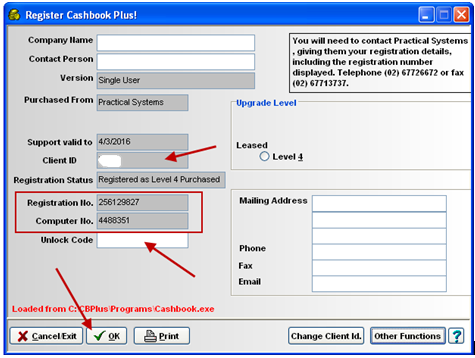 After the program has been installed there will be a PS Cashbook Plus! icon on your desktop. Double click on the icon and click on the OK button when asked to select a Demonstration Option. Click on the File > Registration menu option. Enter your Client ID in the required field. Call Practical Systems on 1800 624 688 and read out the registration number and computer number found on that page. They will then be able to generate an unlock code for you. Enter the unlock code provided and click on the OK button. When prompted, re-enter your Client ID. Now restore the data from your old computer onto your new computer. Click on the File > Companies menu option. Click on My Business and click on Select. Click on the File > Restore Data Files menu option. 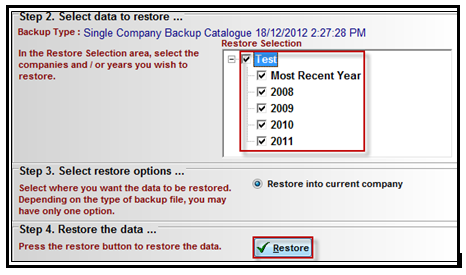 In the Restore Data Files box, select from local file (or choose Data Warehouse if using that) and click Load Backup. Find your USB in the file explorer. It will be marked as Removable Disk in Computer or My Computer. Click on the Open button. This will take you back to the Restore Data Files screen. Select all the boxes underneath the company name. If you backed up several companies, tick all the required companies to restore. After processing, your files will be saved into the relevant company/ies. Click on the File > Companies menu option if you wish to rename any of the companies.